Let’s say we are playing a shooter on the Kinect. Unlike other game consoles, which leave us stranded on the couch, this console (like the Wii before it) actually makes us move. If we want to kill off the bad guys, we need to run around and break a sweat. We are no longer just twiddling our thumbs. In order to prepare for all this combat, the brain automatically triggers a wave of changes in our “physical viscera,” such as quickening the pulse, flooding the bloodstream with adrenaline, and contracting our intestines. While even stationary entertainment can lead to corporeal changes – that’s why the heart rate quickens when watching a Hitchcock movie – the physical activity of the Kinect exaggerates these effects. Although we might look a little foolish flailing around the living room, the game has managed to excite our flesh, and that means our emotions aren’t far behind. As a result, we are more scared by the possibility of virtual death (and more thrilled by the virtual victory) because our body is fully engaged with the game. Xbox, dashboard! Xbox, smile! Xbox, love! LOVE, XBOX, LOVE! In 1993, researchers Paul Ekman and Richard Davidson even studied this question scientifically by testing to see if simply smiling can make you happy. 3 All of us can fake a smile of one sort or another even when we’re pissed or bored, but it turns out that “true” smiles –those that erupt whenever we’re genuinely happy– involve a specific muscle: the obicularis oculi. This is the muscle around the eyes that causes us to make that particular, gleeful face during moments of unmitigated merriment. Some people can fake using the obicularis oculi to make apparently genuine smiles 4 and Ekman and Richardson screened potential subjects for their study based on this criteria and then trained them further on how to do it at will. After taking some baseline measures, the researchers found out that faking a “real” smile led not only to higher self-reports of good moods, but brain activity as measured by EEG 5 during fake smiles was practically identical to activity measured during genuine amusement. But it’s important to note that the subjects had to smile the “right” way. Those who didn’t manipulate the obicularis oculi and related muscles didn’t become happier; they just looked a little bit like it. If the Kinect and other motion control game devices are going to trick our bodies into making us feel more engaged or emotional, they’ve got to do it convincingly and really mimic those genuine physiological reactions. They also need to either put out some games that will entice us to play, or offer us $5 and 10 extra credit points for our Psychology 101 class. 1. Klein, S. (2002). The Science of Happiness. De Capo Press. 2. Lehrer also references this idea from Demasio in the blog post I liked to, but grad school taught me nothing if not how to pad out my references. 3. Ekman, P. & Davidson, R. (1993). Voluntary Smiling Changes Regional Brain Activity. Psychological Science, 4 342-345. That’s rather interesting. 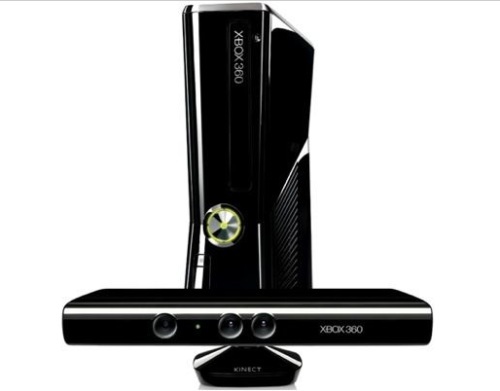 I do think the Kinect has the ability to accurately track a player well enough that if a game designer studies what movements and positions the body should be in to give certain emotional effects, like cowering with fear or standing tall with courage, that they very well could tap deeper into our emotions. For a deeper connection do you think that headgear, like a wearable screen, would help fool the body when playing with Kinect? For me when I turn my head while playing I break focus and lose connection with the Kinect. I wonder what kind of level of connection we can get with the player. At that point it could be a really good VR sim. Possibly. That kind of gets into the virtual reality field, though, with the full wrap around headgear. I know that stuff can be immersive if the gigantic helmet doesn’t distract you too much. Dance Dance Revolution did this to me for two years or so. Treadmills are nothing like Jogging outdoors though, not for me anyways. When I see a treadmill, I always think I can smell armpits. I think jogging in place would be even worse.